My wife has just put our son to bed, and had the below conversation. 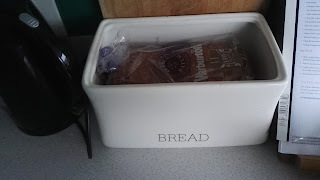 For information, we used up the last of the bread earlier for sandwiches, but (apparently unknown to him) I went to the garage and bought a loaf. Son: We've got no toast. Son: But there's no toast tomorrow. My Wife: Yes, we have bread, you put it in the toaster and you make toast. My Wife: Yes, daddy bought bread. My Wife: Yes there is darling! Daddy. Bought. Bread. I'm kinda excited to see what happens tomorrow when I try to make him some toast for breakfast while he insists that we can't have any. Here is the bread. It exists. All the calories of real pizza, but without those nasty vitamins. Happy Father's Day! 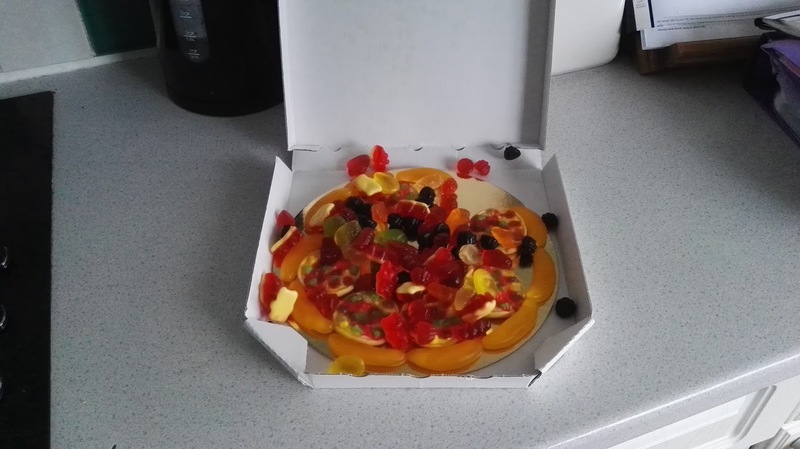 Candy pizza. Where do you get candy pizza? It looks like it's made up of gummies? I hope you had a great day, and I hope your son enjoys his surprise toast. Nice. Interesting collection of Dad jokes. My dad has quite the Dad jokes, sometimes funny, sometimes groaners, and often plays on words. 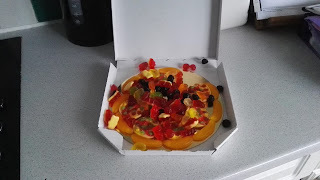 Candy pizza?! Sounds like the best Father's Day ever. Candy za? I would try that! I had a dessert pizza once. White chocolate etc. Your son is so funny. Cherise kept telling him you brought bread. I wonder why he didn't believe her? Looks like you had a lovely Fathers Day! Are you keeping an eye on Jeff? Selfie Phone Clip - Panoramic Goodness!